Due to be rolled out throughout the Merseyrail line by 2020, a completely revolutionised design of underground train fleet has been confirmed by Swiss contractors Stadler this month. The 75-year-old rail construction company has worked on a wide portfolio of large scale projects, with trains manufactured by Stadler running in 28 countries worldwide to this date. With the creation of this new deal, there will 200 UK jobs set up by 2021, bringing the collective workforce up to over 7,000 employees. Made of lightweight aluminium extrusions, the trains will be considerably faster than the current 40-year-old carriages currently in use, with a reported decrease in journey times of 10% and upwards. Travelling at a maximum speed of 75mph, the fleet will ensure that Liverpool’s commuters are where they need to be, when they need to be there. Other benefits of the upgrade come in the increase of capacity due to the 60% increase of size, meaning that up to 486 people could travel on one of the four carriage trains. This 60% increase will cut congestion and waiting times, allowing for a smoother underground experience. Optimising for accessibility and wheelchair friendliness, the new trains will be significantly lower down compared to their current counterparts, sitting at a mere 960mm above rail level. This completely walk-through design will make it easier for solo disabled travellers and again, cut journey times. Following the deal signing, construction is now ready to take place, with plans to create the first of fifty-two trains by 2019, which will then all be implemented by the time 2021 rolls around. The lightweight carriages are designed to be airy and spacious, without dividing doors and the installation of CCTV for the driver to monitor – although some have questioned this decision, suggesting that making the driver keep an eye on CCTV will distract from the actual driving. There hasn’t been a shortage of complaints following the reveal of the custom aluminium extrusion train, with the subsequent announcement that up to 220 jobs will be lost due to the vehicles being driver-operated only. Additionally, members of the public have voiced their concerns at the prospect of having a train operating as driver-only, suggesting crime rate increases and a general lack of safety. 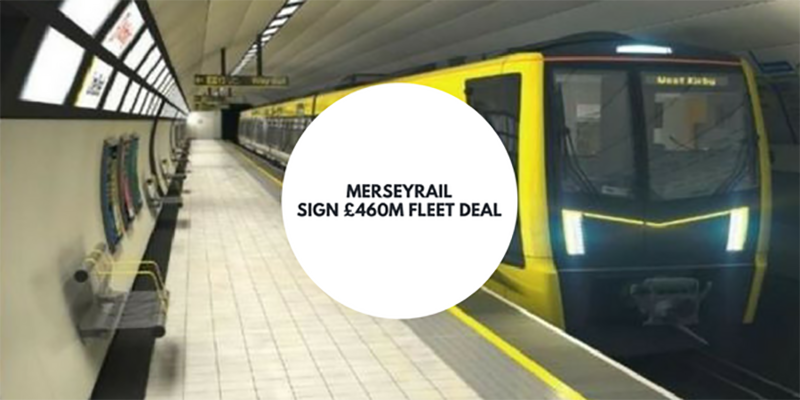 The Chief Executive of Merseytravel, Frank Rogers, says of the project: “We are very much looking forward to working with Stadler. The fleet of new trains will provide the foundations of our City Region’s long term rail strategy and we anticipate our relationship with Stadler developing into a strong, enduring partnership”. If you would like to find out more about aluminium extrusions and how they could benefit your business – perhaps not quite as large scale as a whole fleet of trains – Love Aluminium have over 30 years of experience in the industry and can advise you on the best practices for designing with aluminium. Contact today to book in for a consultation with the specialist team. What is an Aluminium Extrusion and What are They Used For?